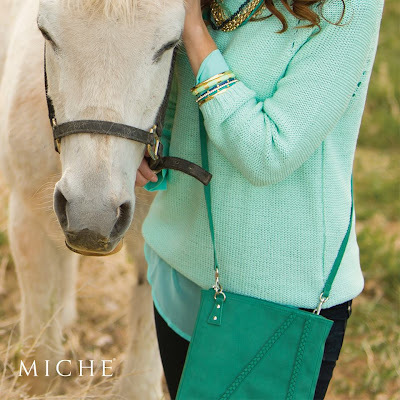 Our Miche Mikado Bangles make a nice addition to any outfit. They come in jade green, deep turquoise and sapphire blue with gold accents. Pair them up with our Teal Hip Bag, or wear them alone to create a fun, colorful look.